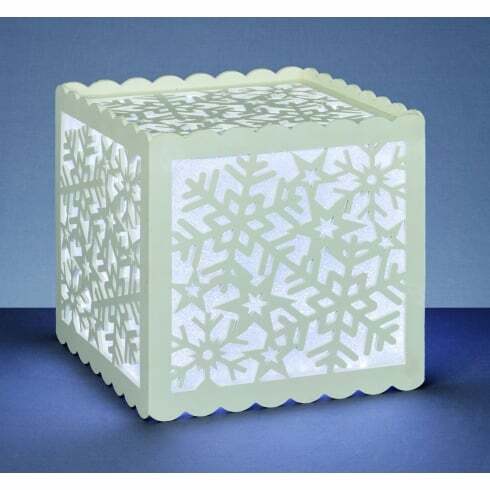 Premier Decorations Silhouette Lantern features 72 integrated white LED's which are situated throughout the snowflake design framework of this attractive acrylic Christmas decoration. The product code for this Premier Decorations Lantern is LV161571. When this charming lantern is lit the bright LED's will shine through the festive framework providing sparkling illumination for your home this Christmas when its dark and cold outside. Suitable for indoor use only and plugged into mains. Also available is a larger 30cm snowflake lantern which can be purchased via our website using product code: LV161572.